Big power, small package. Looking for a new ultraportable notebook or laptop this holiday season? We've compiled a list of the best thin-and-light devices we've reviewed this year to help in your purchasing and gifting decisions. Looking for something easy to carry without sacrificing power? This is your guide! It's that time of year again! The Holiday season is upon us, and with it come deals galore. This is the time of year when consumers are making big purchase decisions, whether for themselves or as gifts for others. As such, Notebookcheck is compiling lists of the best devices available in various categories (e.g., Gaming, Business, etc.). Herein, you'll find our list of the best ultraportables that we've reviewed over the past year. We'll look at the cream of the crop in various facets of the notebook experience like display quality, system performance, and overall value. In order to make this list, the laptop must be considered an ultraportable, or "thin-and-light" device. This doesn't necessarily limit our choices to Ultrabooks (which are typically defined by a specific CPU design) but will encompass any notebook that can be reasonably deemed as compact and lightweight. We'll define this as any notebook with that weighs about 2 kg (~4.41 lbs) or less and has a reasonably thin profile (under 20 mm). Price isn't a limiting factor here; for budget options, be sure to check out our Top 5 Budget Ultraportables for Late 2017. For more details on each device listed in the table below, take a look at our comprehensive reviews by clicking on the device name. We've also added a relevant comparison tool after each section to give a better overall view of the devices discussed. Unless otherwise mentioned, all prices are in USD. In choosing an ultraportable notebook (or any laptop, for that matter), there is a rarely an option that ticks every single box. Where a device may offer stellar performance, it may sacrifice battery life. Where one may be able to handle the latest games, it may sacrifice heat and noise. 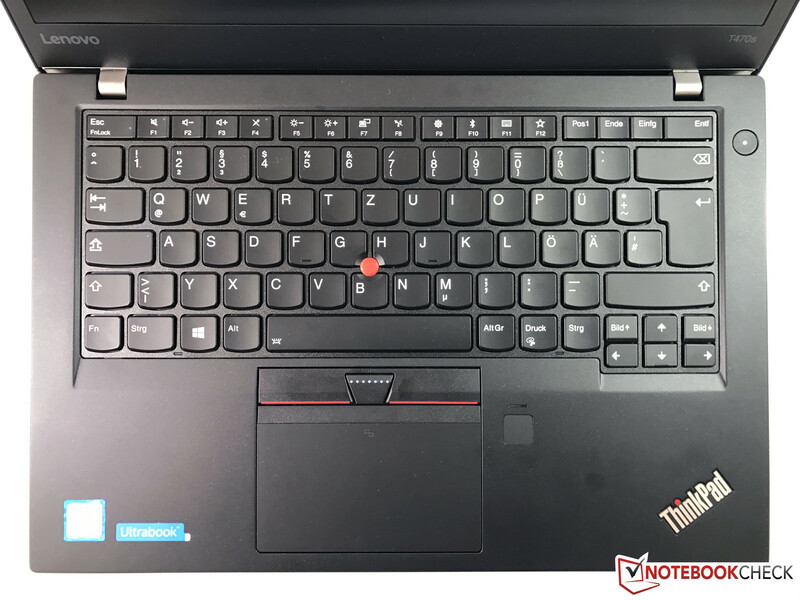 As such, the aim of this article is to pick a best notebook in various categories, culminating in what we think is the best overall ultraportable laptop available on the market today. The MacBook 12 is still the gold standard for compact notebook design. It's hard to argue with Apple's 12-inch MacBook (2017), which scored 90% in our Notebookcheck review. You know a laptop is thin and light when we compare its size to tablets. Coming in at a mere 920 grams, the MacBook is one of the lightest notebooks currently available, and with a total volume of about 722 cm3 (~44 in3), it's one of the most compact as well. 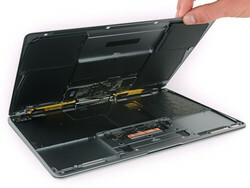 The thin 13.1 mm profile makes this an easy notebook to carry in a backpack, purse, satchel, or almost any kind of bag. The tradeoffs for that kind of portability are, unfortunately, numerous. For one, the MacBook has one USB Type-C port (which sadly lacks support for Thunderbolt 3) and a headset jack. The flat keyboard will also take some adjustment; our reviewer noted that despite Apple revamping their Butterfly mechanism, the "key travel will still appear short and the pressure point crisp" to users unfamiliar with Apple's new keyboards. Potential buyers should heed the advice of our review and test a demo or floor unit prior to purchase. You can purchase the MacBook 12 starting at $1300 via Apple's site. Budget-conscious consumers may want to buy an Amazon Certified Refurbished MacBook 12 at Amazon for $900. The MacBook of the Windows world. Users who prefer Windows over OS X should look at the Huawei Matebook X. Weighing in at about 1.05 kg and sitting only 12.5 mm thick, the Matebook X packs quite a bit more power than the MacBook 12; the Core i5-7200U scores 22% better than the MacBook 12's Core m3 CPU in Cinebench R15 multicore testing. The Matebook X's screen is also bright and vivid, hitting just shy of 400 nits. However, the increased power doesn't come without issue. Due to Huawei's innovative but inefficient cooling solution (which you can read more about in our full review), the Matebook X suffers from significant thermal throttling in prolonged workloads. While the chassis itself never tops 41° C, the internal components are heavily reigned in to keep temperatures under control. People on the hunt for the absolute thinnest notebook should look at HP's Spectre 13. Coming in at a lean 10.4 mm , the Spectre actually benefits from much better connectivity versus the MacBook and Matebook; in addition to a USB 3.0 (Gen 1) Type-C port, there are two additional USB Type-C ports with Thunderbolt 3 support, greatly improving peripheral options. 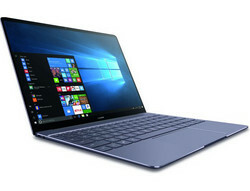 The Huawei Matebook X can be found at Newegg for $1100 or $1300, depending on the configuration. The MacBook Pro 13 (mid-2017, Core i5, Touch Bar). Bright, rich, and color accurate, the MacBook Pro's screen pushes the limit of what a notebook display can do. Apple takes another medal, this time for display. There's really no competition here; the MacBook Pro line has some of the best displays ever put in a notebook, and the mid-2017 MacBook Pro 13 with Touch Bar is no exception. In our review of the mid-2017 MacBook Pro 13 (Touch Bar), we measured a DeltaE of 0.8 for colors and 1 for grays, which is incredibly accurate. Considering a DeltaE of 3 or less is generally considered the threshold for professionals, the MacBook Pro earns its moniker as far as color work goes. The device also covers about 100% of the sRGB color space and about 78-80% of AdobeRGB. There are few devices that come close to this level of accuracy out of the box, and even fewer that can match the intense brightness. Averaging about 514 cd/m2 across its four million pixels, the MacBook Pro 13 is between 25-50% brighter than most other thin-and-lights. If you're looking for a gorgeous screen and money is no object, the MacBook Pro 13 should be a definite contender for your money. 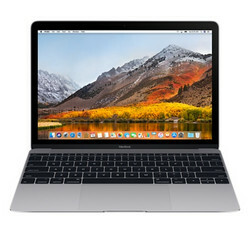 Users that need a larger screen and don't mind shelling out quite a bit more change should also consider the MacBook Pro 15. 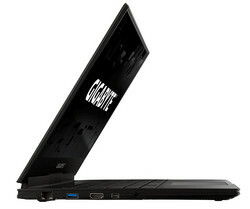 The larger machine also comes with a more powerful GPU, which may be useful for professional creatives. 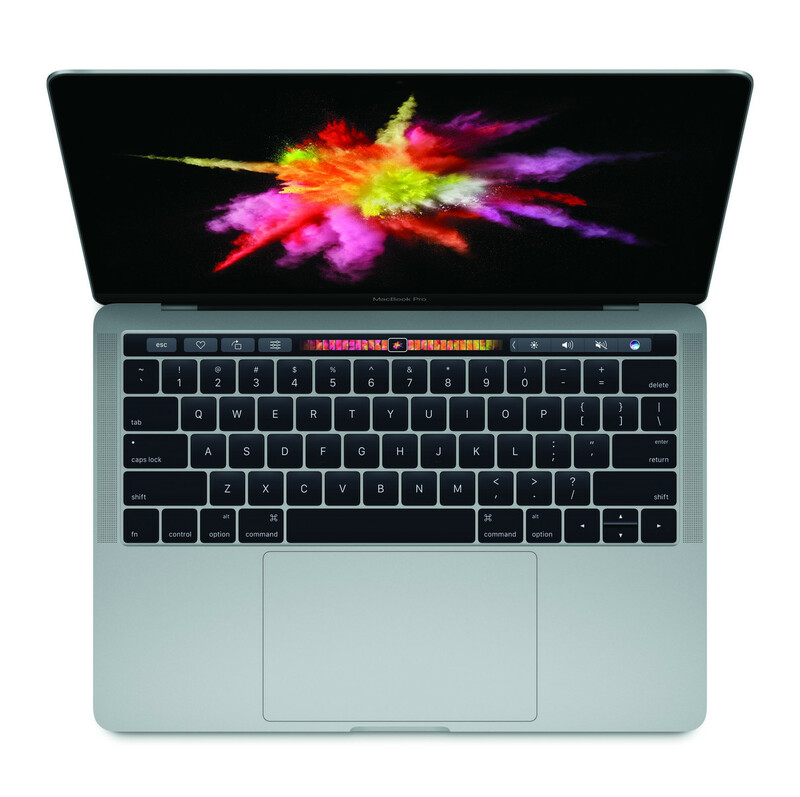 The MacBook Pro 13 can be purchased via Apple's site or at Newegg for $1800. The MacBook Pro 15 can be purchased through Apple or at Newegg for $2300. The Razer Blade (2017) continues to be an excellent gaming notebook wrapped in a beautiful and slim case. Our top choice for a portable gaming notebook goes to the 2017 Razer Blade. The fit and finish has very few rivals, most of which come from the non-gaming space (like Apple's MacBook Pro), and performance is in line with other similarly specced gaming notebooks. The 2017 update brings with it vast improvements in system stability and battery life, both of which were disappointing marks agains the 2016 iteration. The 2017 Blade achieves an impressive 9 hours 5 minutes in our WiFi v1.3 test, beating out most other gaming notebooks by a fair margin. The machine is also able to consistently hit around 730 points in Cinebench R15's multicore test. Gaming is enjoyable at Full HD; most titles are able to hit or surpass 60 fps at High settings, and the inclusion of a Thunderbolt 3 port opens the gates to gaming with an external GPU. The main sticking points with the Blade encompass thermal management: fan noise can get very loud (51 dB(A) while gaming), and the chassis warms up very quickly. And then there's the price: the Blade starts at USD $1900, which is a hard pill to swallow by itself. Any upgrades can raise the price dramatically. 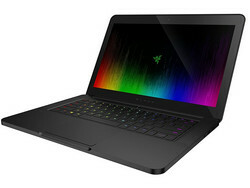 The Razer Blade (2017) can be purchased at Amazon for $1900 to $2500, depending on the configuration. By cramming the new Nvidia GeForce GTX 1070 Max-Q into a thin body, the Aero 15 can push pixels at home or on the go. For gamers that don't care too much about aesthetics and don't mind a slightly bigger package, the Gigabyte Aero 15X is the next best choice. Although it's equipped with the same processor as the 2017 Blade, the Aero 15X has been upgraded with a slightly more powerful GTX 1070 Max-Q GPU and manages to edge out the Blade in almost every benchmark. GPU-focused tasks will run about 35% faster on the Aero 15X than on the Blade, and most games will see a similar bump in frames per second. Battery life is also stellar on the Aero 15X, reaching 8 hours 11 minutes in our WiFi v1.3 test. The Aero looks like the better machine, but there are some tradeoffs. For one, the Aero's chassis gets incredibly hot, hitting about 55° C when gaming and breaking 60° C under full synthetic load. The fit and finish of the Aero is also not quite up to the Blade's impeccable standard, and the design is arguably less striking than the Blade's. The Gigabyte Aero 15X can be purchased at Amazon for $2200. Dell's new long-lasting XPS 13. Lasting over 9 hours each, the Dell XPS 13 and 2017 Razer Blade should be more than adequate to handle a full day's workload. The XPS 13 is the clear winner here, lasting almost 10 hours in our WiFi v1.3 battery test. Thanks to its generous 60 Wh battery and power-efficient CPU (rated at 15 W), the XPS 13 manages long runtimes that should see most users through an entire day and then some. We should also note that Lenovo offers an optional 72 Wh secondary battery for the ThinkPad T470, which increased total battery capacity to 96 Wh. This should allow for some incredibly long runtimes, considering the 48 Wh configuration lasted 7 hours 18 minutes in our testing. Keep in mind that the larger secondary battery will significantly increase both bulk and weight. Surprisingly, a gaming notebook is a close runner-up; the 2017 Razer Blade falls a mere 7% behind the XPS 13. Again, this is in large part due to the large battery; the 70 Wh power pack lasted just over 9 hours in our WiFi v1.3 battery test, an impressive result for a notebook built around performance. 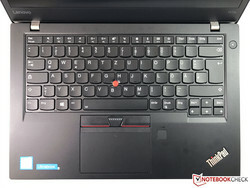 Keyboard of the Lenovo ThinkPad T470s (German layout). 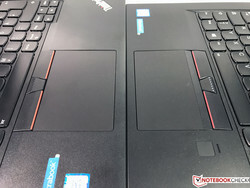 Touchpads of the Lenovo ThinkPad T470 (left) and ThinkPad T470s (right). The venerable ThinkPad keyboards continue to reign supreme. Lenovo is famous for its excellent keyboards, and that carries through to its ultraportable devices as well. The ThinkPad T470 and ThinkPad T470s offer some of the best typing experiences to be found in the mobile world. Both keyboards have excellent feedback, ample travel, and are fairly quiet compared to other devices. 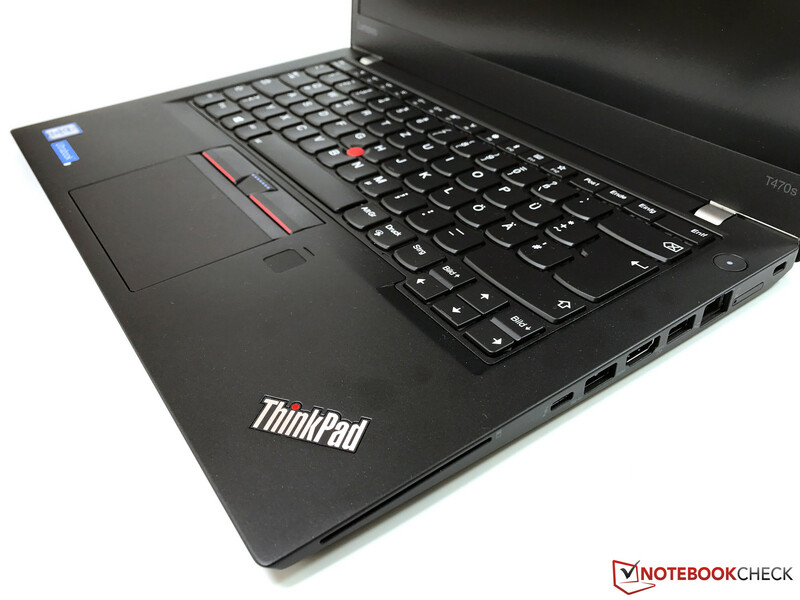 Touch typists and novices alike will find a lot to appreciate with the ThinkPad keyboards. Lenovo's shift to Windows Precision drivers for mouse input marks a huge improvement in the ThinkPads' touchpads as well. Both the touchpad and TrackPoint in each device are responsive. Gestures are handled well, and tracking is accurate and reliable. When it comes to productivity, it's hard to be the ThinkPads. The Lenovo ThinkPad is available at Amazon for between $715 and about $1250, depending on the configuration. 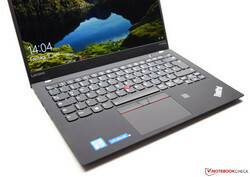 The ThinkPad T470s can be purchased from $1200 to $1900, again, depending on the configuration. In spite of their slim profiles, the ThinkPad line offers plenty of ports for peripheral hounds. One area where ultraportables tend to fall behind other categories is in port selection. Most thin-and-lights offer a few USB ports and might have a connection for an external display, but that's typically the limit. However, Lenovo's ThinkPads are very well equipped. The T470 and T470s each offer three USB 3.0 ports and a Thunderbolt 3 connection on top of an SD card slot, SmartCard reader, an HDMI 1.4b port, and a full-sized RJ45-LAN hookup. The X1 Carbon swaps one of the USB 3.0 ports for another Thunderbolt 3 and has a combined slot for a microSIM and microSD card. Both the i5 and i7-equipped models scored very well in their respective reviews and would make an excellent choice. Either of these options should meet the peripheral needs of most users. As we stated before, the ThinkPad line offers excellent options for office work. A "dishonorable" mention goes to the MacBook 12. The single USB Type-C port is used for both peripheral connections and charging. To make matters worse, the port uses the older USB 3.1 Gen 1 standard and lacks Thunderbolt 3 support. Not only will users have to adjust to the "dongle life," but the number of adapters is limited by the smaller bandwidth of USB 3.1 Gen 1. The Lenovo ThinkPad X1 Carbon (2017) is on sale at Amazon starting at $1600 and running up to $2200. The MacBook 12's fanless design brings a huge benefit: absolute silence. Thanks to the lower voltage CPUs found in most ultraportables, noise usually isn't a concern. Aside from those with dedicated GPUs, the notebooks in our roundup hover around 35 or less dB when under heavy load, and none of these break 40 dB. However, the MacBook 12 stands above the rest in noise output simply because it has none. The fanless Core m3-7Y32 is completely silent under any load, and there was no detectable coil whine in our review unit. The Dell XPS 13 checks the most boxes while making the least amount of compromises. The new 8th generation Intel CPU gives it a major advantage over many of this year's other ultraportable offerings as well. There's no single notebook that's the best in every category, but the Dell XPS 13 is perhaps the best all around. 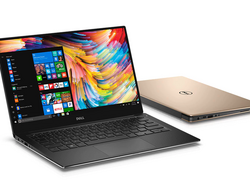 It seems that the XPS 13 line makes the "Best of" charts every year, and with good reason; the design is stunning, the chassis is sturdy and well-made, and the the notebook remains one of the more portable options. The late-2017 refresh only improves this otherwise excellent package, bringing an incredibly boost in performance over the previous generation XPS 13 with long battery life to boot. 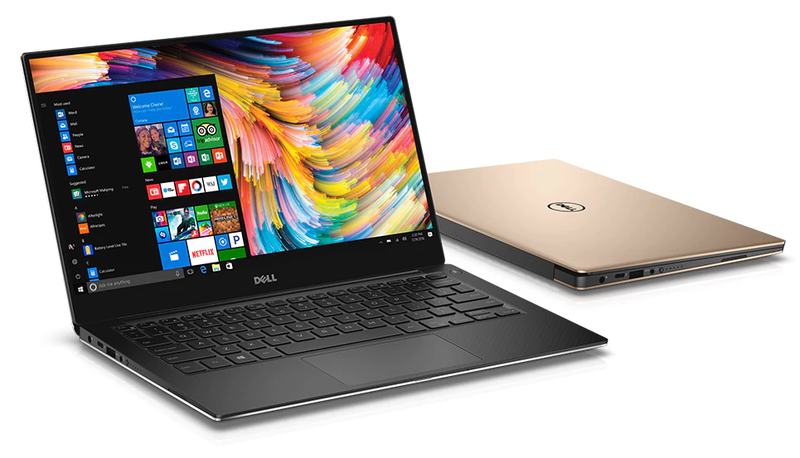 The new XPS 13 is also a great deal; for an MSRP of USD $1300, users can get the powerful Core i7-8550U, 8 GB of RAM, and a fast 256 PCIe SSD. Keep in mind that Dell frequently runs sales as well. If timed right, the XPS 13 can be had for an absolute steal.